Laurie has worked with clay for many years. She started when we lived in the Raleigh, NC area 25 years ago. The interest has stuck wih her and she has become quite proficient. When we moved to Tennessee, Laurie started doing artwork full time. She did shows for quite a few years and when the economy crashed several years ago, shows started going downhill. Art shows eventually fell to the point that they no longer made financial sense. 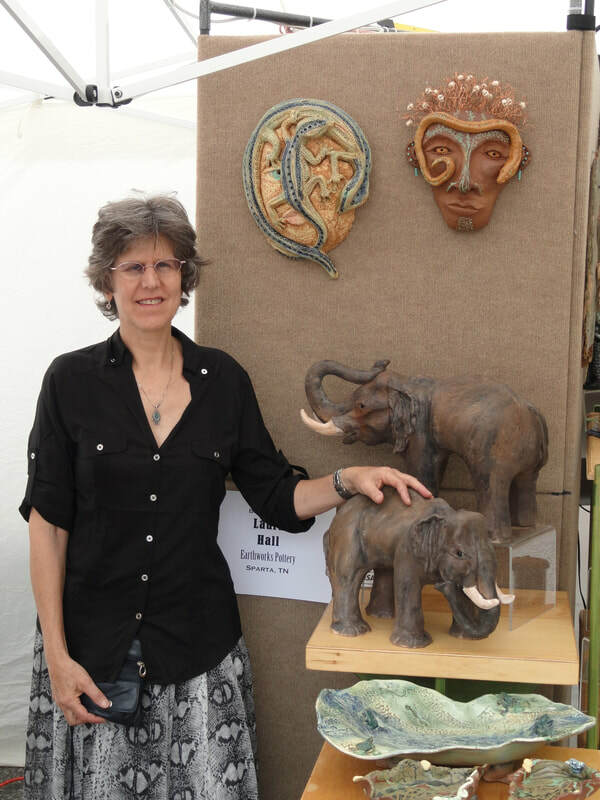 Laurie still works with clay and does the occasional art show, but while her interest in clay has not waned, the ability to sell art work, for not only her but all artists, has reached a point that many artists walked away from their lifelong profession. She continues to work with clay but not to the extent she did in the past.